As a fun way to review number bonds and keep them fresh in mind, I’ve created kite themed number bond worksheets to 20. This is a part of my number bonds worksheets series. Knowing the number bonds well sets a child up for success in math. My daughter has put in the time to really learn these well. To help her continue to remember the number bonds to 20 well, I created these as more of a fun review. The first page reviews number bonds of 4 to 10. 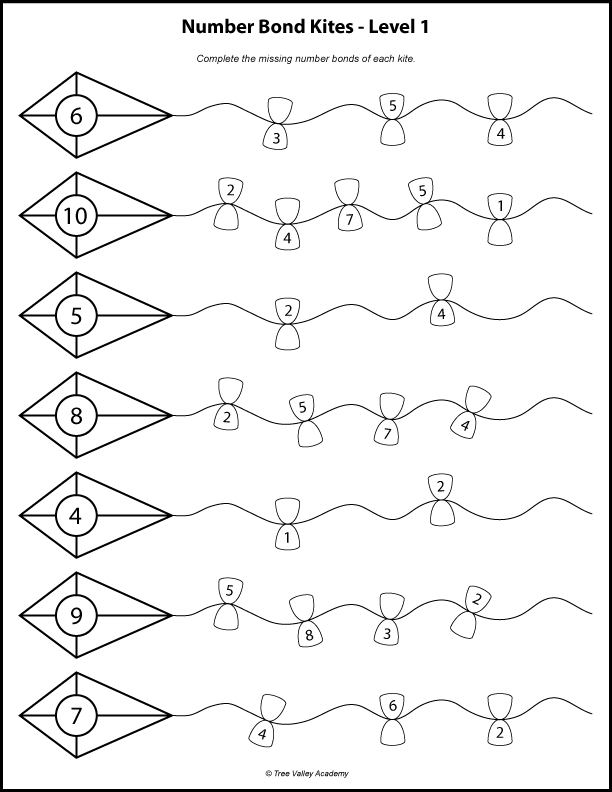 The second page number bonds of 9 to 15, and the final page number bonds 10, 15 to 20. While a child could do a page or more at a time, we used it as more of a light summer review. Each day my daughter did the number bonds of one kite. She chose to color each kite as she did them. It took her minutes or less per day but helped keep those math facts from being forgotten. On a side note, if you’re wondering why I have labeled each page with Level 1, Level 2 & Level 3, it’s because this simple label made it feel more game-like to my daughter. She was happy to get to the next level. It’s a simple idea but anything that helps make learning more fun, I’m all for it. 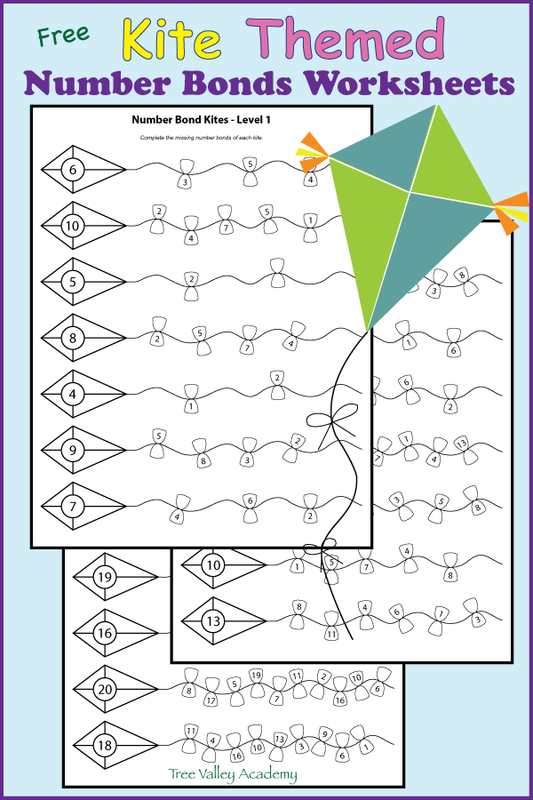 You can download free all 3 pages of kite themed number bond worksheets to 20 below.